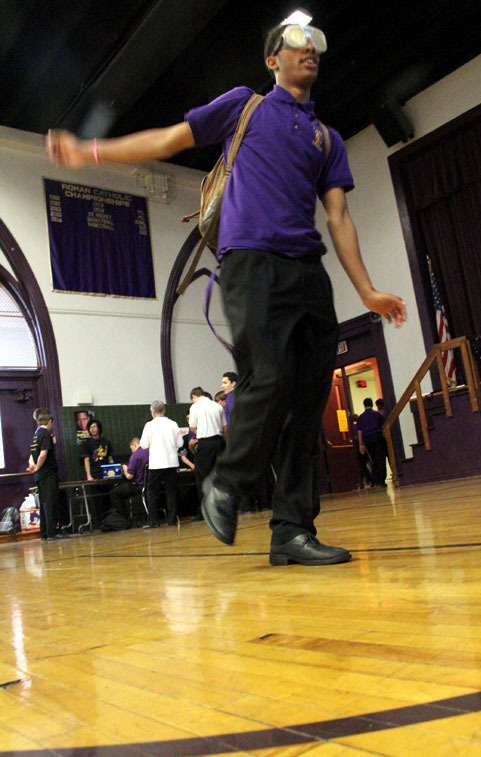 Joshua Baskerville (junior) unsuccessfully walks a stright line with google that simulate being intoxicated. 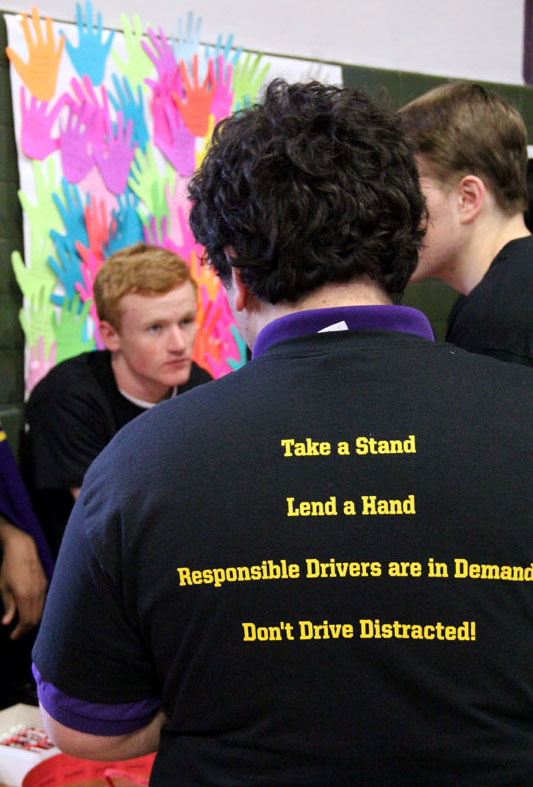 Roman Catholic High School students participated in a summit on safe driving with the National Organization for Youth Safety (NOYS) on Thursday, April 9, during their theology period in the school gym. The event was organized by Roman’s S.A.D.D. (Students Against Destructive Decisions) chapter. 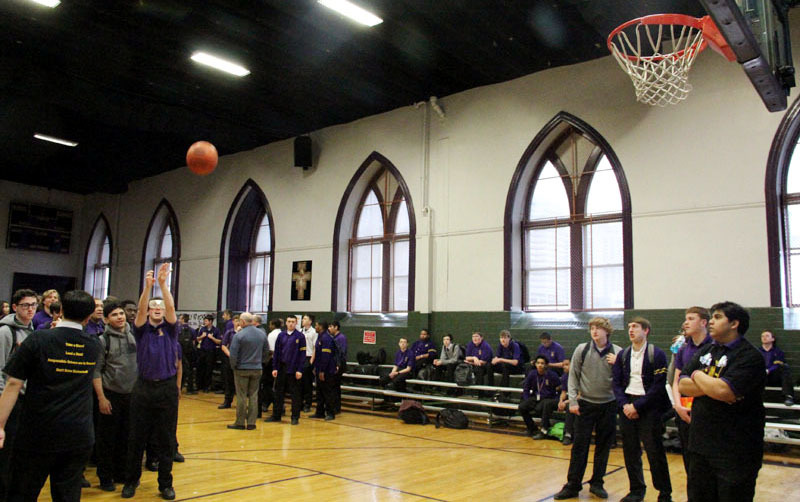 While wearing goggles that simulated the effects of intoxication, students were challenged to shoot basketballs, walk a straight line and virtually drive in a Mario Kart video game. They also operated a driving simulator while texting to learn those effects. 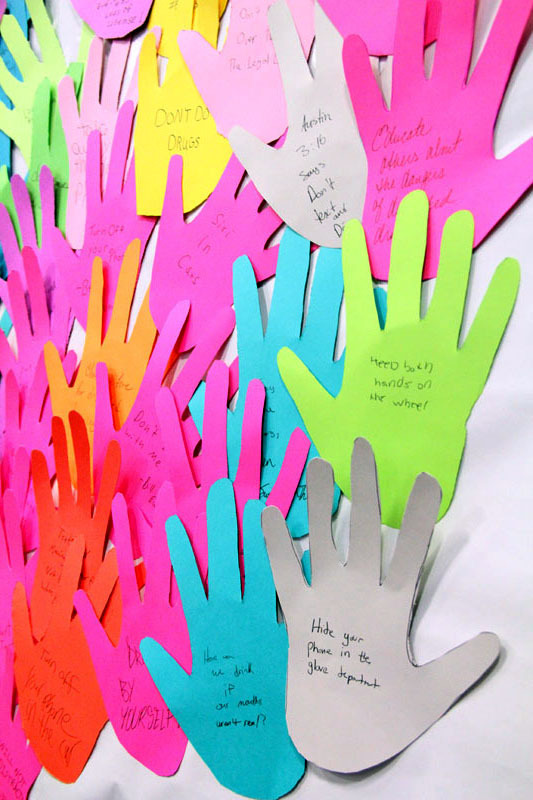 Students wrote the things they learned or pledged to do to not be a distracted driver. 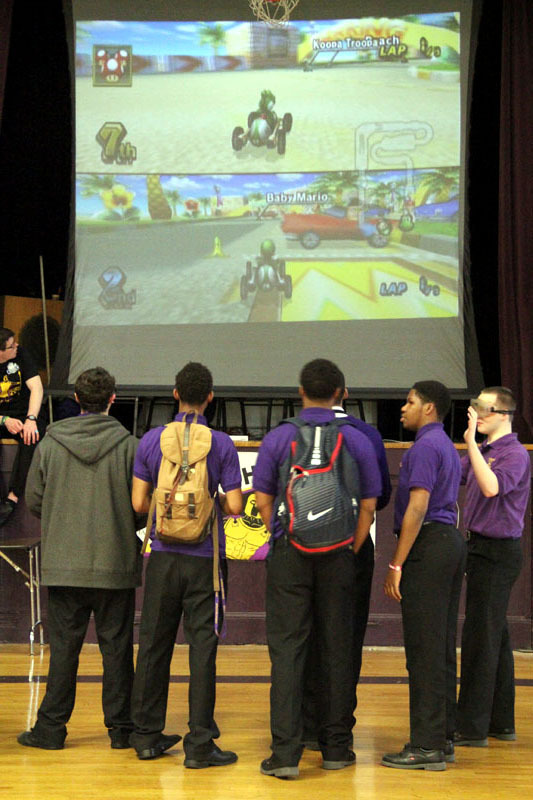 Seniors Manny Taylor (left) plays Gary Thompson in a Mario Kart video game. Manny had the advantage as Gary wore goggles that simulated driving under the influence of alcohol or drugs. Students compare the game play of those who wore intoxication simulators and those who did not. 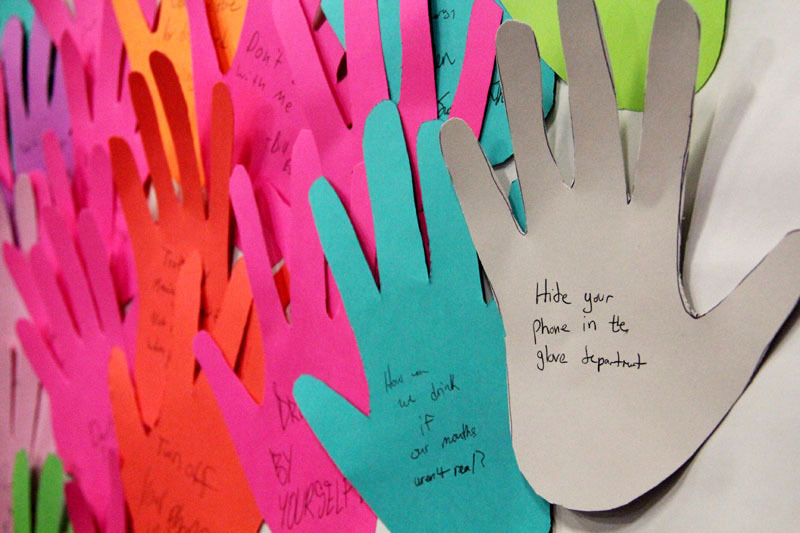 Students write messages on paper hands of what they can do to avoid distracted driving. The hands were displayed on a board. 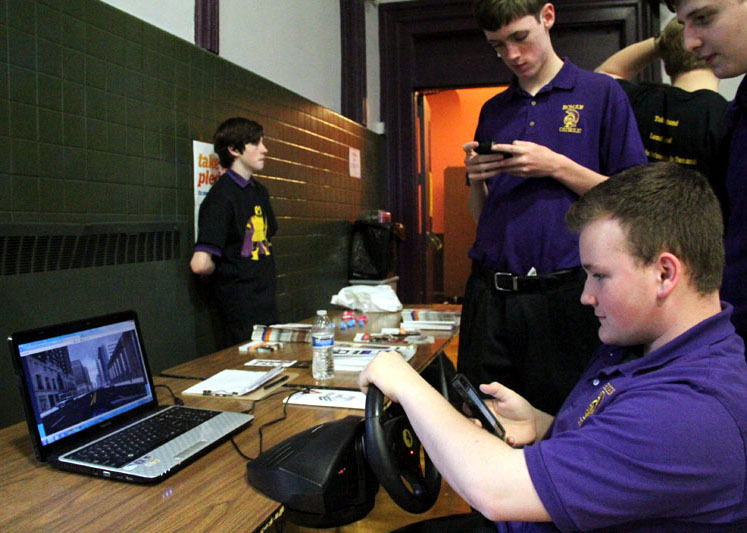 Sophomore Harry White attempts to use a driving simulator while texting with his friend Thomas Howard. 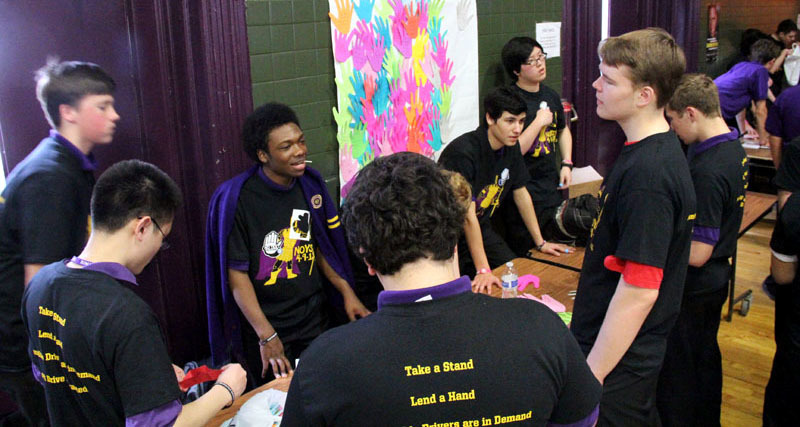 T-shirts for NOYS were given to all SADD members of Roman Catholic and raffled off to other students. 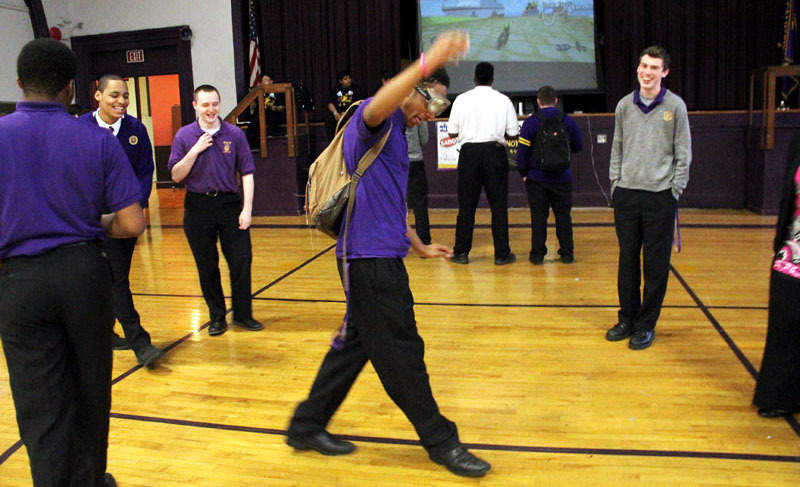 Joshua Baskerville, a Roman junior, tries to walk a straight line with goggles that simulate being intoxicated. Friends might find it funny, but Joshua Baskerville discovers how hard it is to walk a straight line with an intoxication simulator. 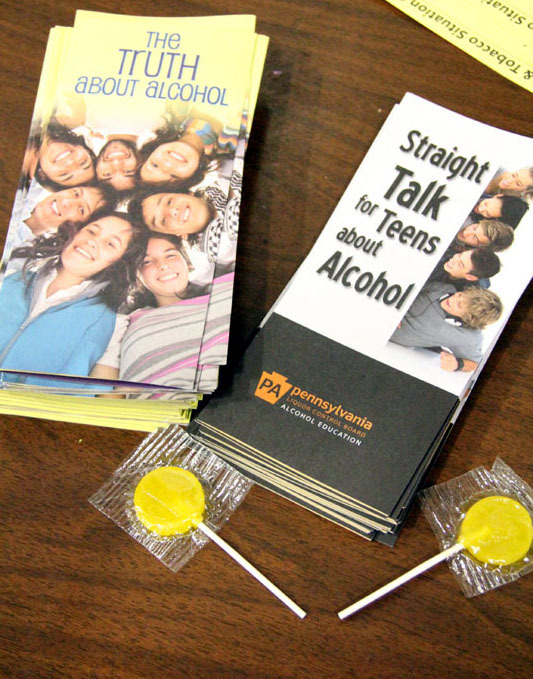 If students correctly answered a question based on information in one of several safety pamphlets, they got a lollipop. 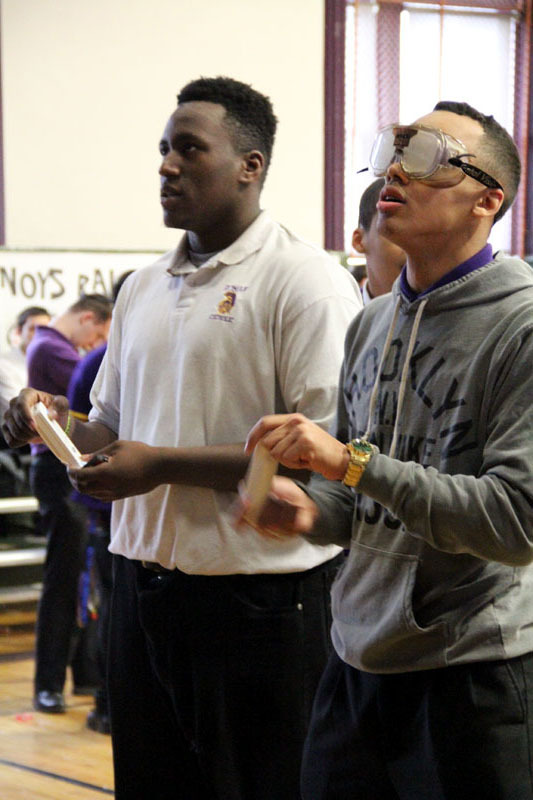 Jarrett Nast (senior) tries to make a basket while wearing goggles that simulate being under the influence. He came nowhere near making his shot. 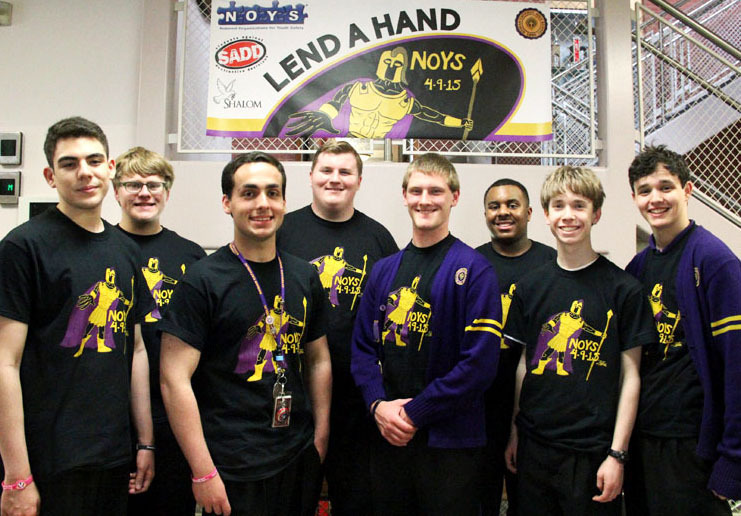 SADD officers (from left) are Timothy Martinez, Allen Smith, Matthew Delia (vice president), Thomas Leonard, Sean Devlin (president), Christopher Bunch, Michael Schwoerer, and Joe Coffey (all seniors). This is really impressive. Shalom, Inc. is pleased to support this worthwhile endeavor through the direct services of Maureen Brown, Prevention/Intervention Specialist at Roman Catholic HS. Congratulations to all who helped to communicate the negative consequences of distracted driving.